These are the games you need to win. Win it you are in the driver’s seat for the conference and on your way to a positive seeding. Lose it and thing really get tough! 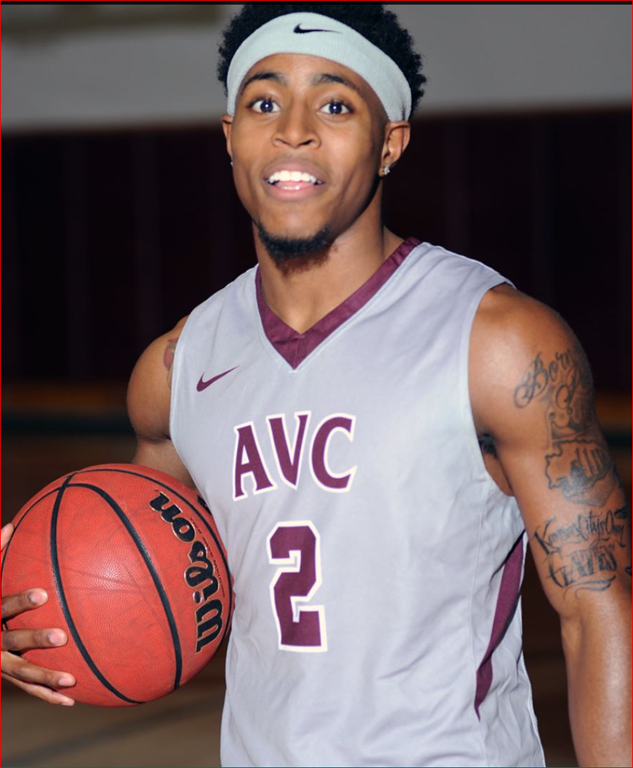 AVC is now tied with Citrus for first place in the Western State-East Conference. Lets look at last nights loss. LANCASTER – Last season the Marauder men’s basketball team was undefeated on its own home court. And following Wednesday night’s defeat at the hands of Citrus College, AVC was handed its third loss at home this season. The Owls came in and shocked the newly ranked Marauders, which entered the game ranked in the top 20 for the first time since the beginning of the season, with an 80-75 victory on Newton Chelette Court. It was the first conference loss (Foothill or Western State) in Marauder Gymnasium in 26 games. The Marauders last loss came at the hands of San Bernardino in January of 2013. "A loss is a loss. We’re not going to let it affect us. We have to learn from it and move on," AVC’s Myles Wise said. "We had a couple of mental breakdowns. (Against Glendale on Saturday) we have to come out with more energy, more focus and more intensity. If we put (teams) away early, it will be a lot easier for us." AVC committed an uncharacteristic 19 turnovers, while the Owls only had 12. The game was close throughout, with neither team taking complete control of the game. A layup by Charles Hall gave the Marauders a 68-65 lead with 6:10 remaining in the game. After trailing 70-69, Citrus went on a 7-0 run, including a 3-pointer with just under a minute remaining giving it the control of the game. "Every game is a dog fight from here on out," Wise said. "We have to play each game like it’s the most important." 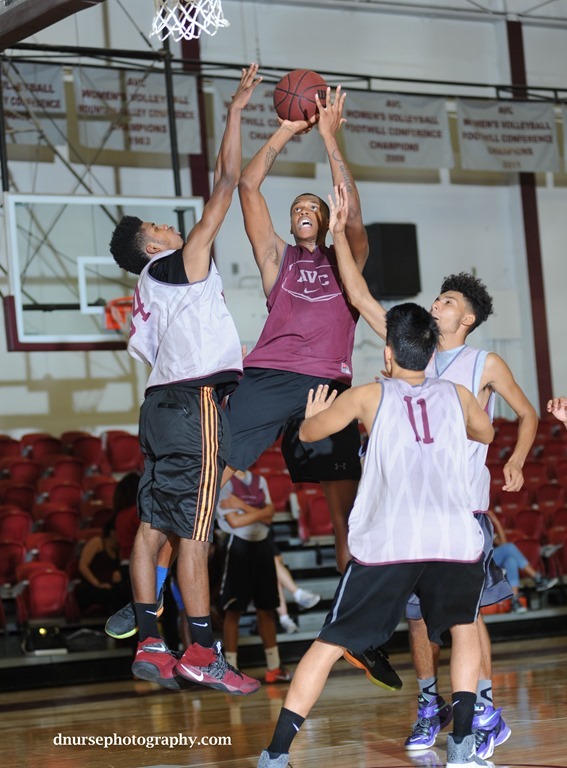 With the loss, AVC dropped into a three-way tie for first place along with Citrus, which has won three games in a row since losing its opener, and Barstow College. The Owls and the Vikings play each other on Saturday, while the Marauders travel to Glendale College. Jailen Gill led AVC with 24 points and 11 rebounds. 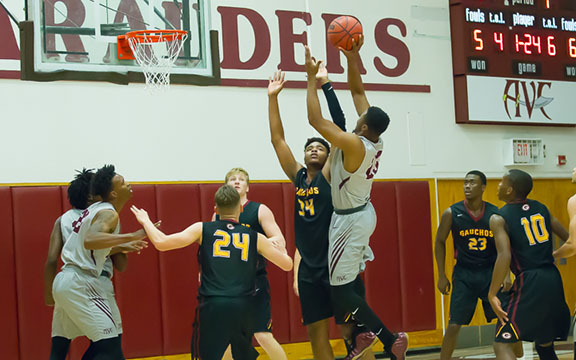 Reggie Byers, who scored 12 consecutive points for the Marauders at one point in the second half, added points and Antone Warren, who saw limited action due to limited action due to foul trouble, finished with 10 points and eight rebounds.